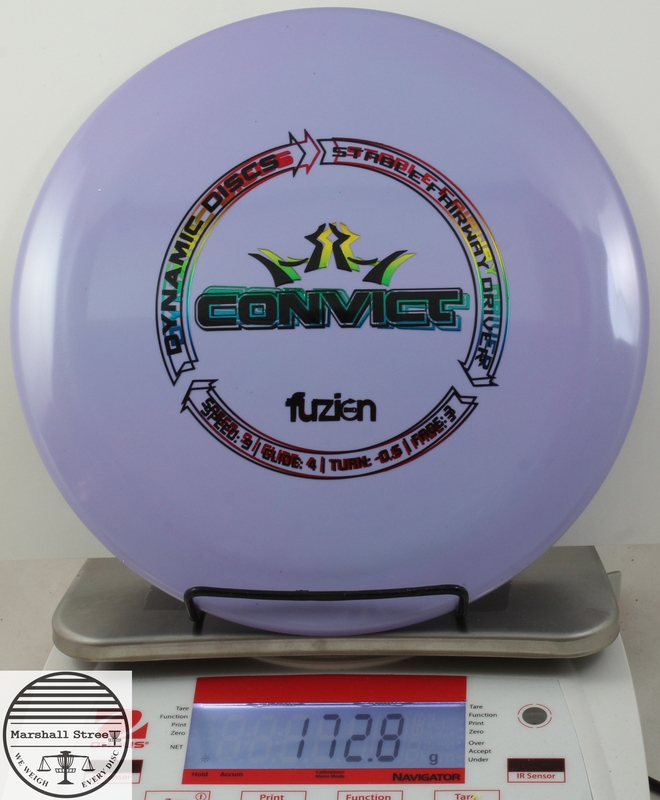 Double-stamped with the two stamps just millimeters apart. 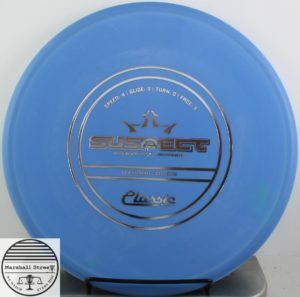 These look blurry and way cool. 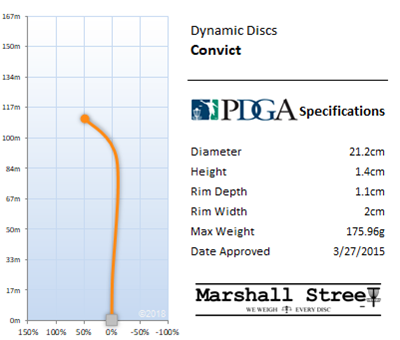 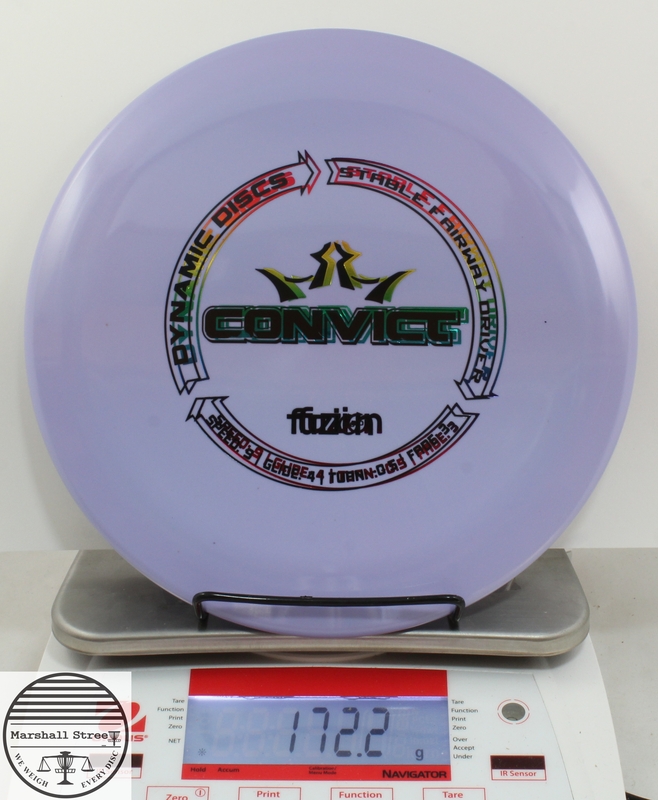 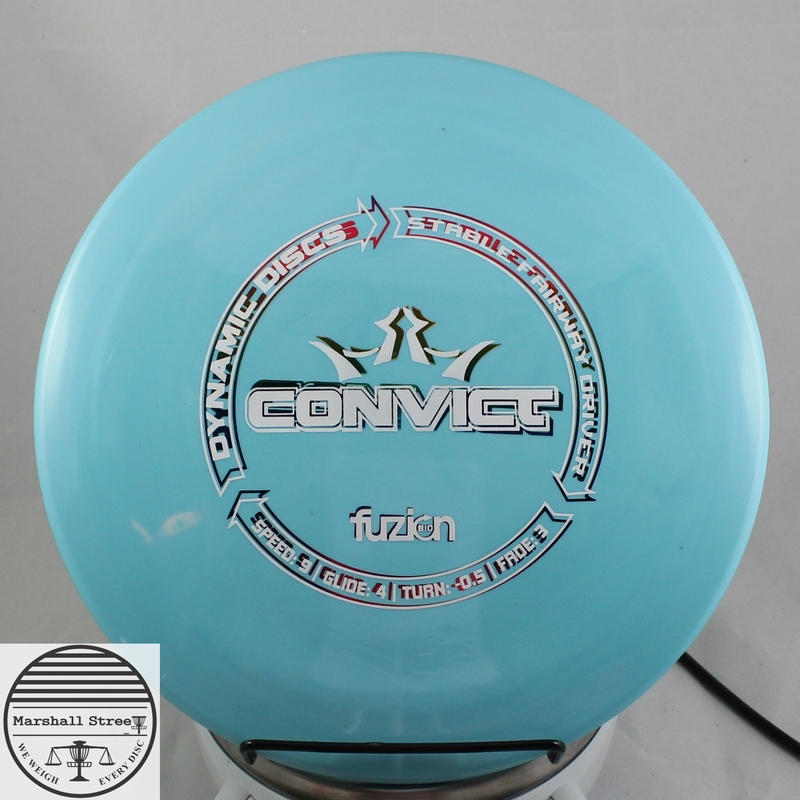 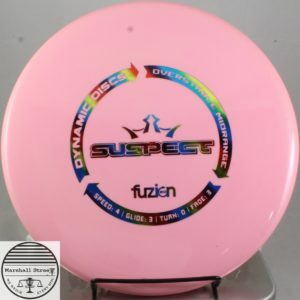 The BioFuzion Convict from Dynamic Discs is an excellent choice of control drivers for your bag. 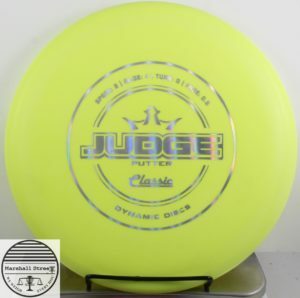 These discs look and feel great. 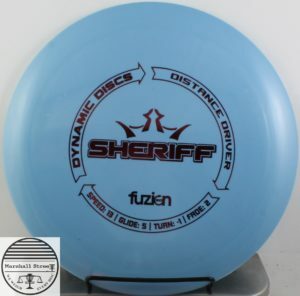 You can expect to get some serious distance out of these with a slight turn and a reliable fade.